Imagine a kindergarten without toys, art supplies or tools. Sounds awful, doesn’t it? This kinder is anything but. The classroom is the world itself, and the teacher is Mother Nature. Such beautiful preschools do exist, and they’re sprouting right across our backyard. In other parts of the world, they’re called forest kindergartens, but in Australia they’re aptly titled bush kinders. And what started out as a relatively unknown way of education in the southern hemisphere seven years ago, now encompasses more than 60 kinders across Victoria alone, with 20 more planned. Westgarth Kindergarten, in Melbourne’s inner northern suburb of Northcote, pioneered the forest kindergarten model in Australia. In 2009 it ran a successful Bush Kinder pilot, which has now blossomed. 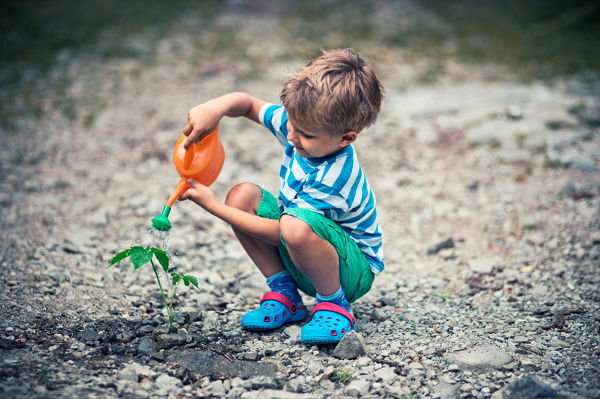 The kindergarten’s director, teacher Doug Fargher spoke to Babyology about the benefits associated with simply stepping outside of four walls to teach children. It’s no wonder the children are keen to go to bush kinder every day, when you consider what they get to do. 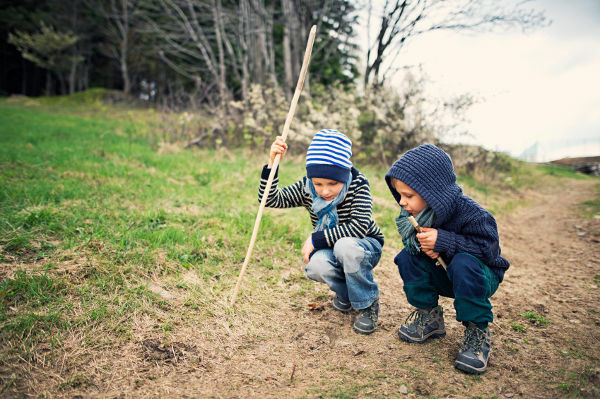 They have the chance to play in the rain, roll down grassy mounds, balance on fallen logs, get involved in dramatic play, draw with sticks in the mud and find insects. Doug says that after teaching for almost 30 years, he believes that kids learn best when outside in nature. “Research supported these feelings and observations – children who spend time outdoors in nature are happier, healthier, stronger, kinder and more social,” he tells us. While the children are engaged in their environment, teachers are noting their development, skill levels and interests. This is then used to support the children’s learning, much like it is in a normal classroom setting. Even before the bush kinder concept was introduced at Westgarth, Doug says the kinder’s education program already embraced the outdoors. He says parents “dropped their children clean with the expectation that they would be picked up rosy cheeked, happy and muddy”. Quieter children behaving in a more assertive and outgoing manner. Easily distracted children demonstrating longer periods of focus in their play. Boys and girls played together in less stereotypical ways. The children who have attended bush kinder together have stronger relationships with each other. Children work together in more co operative ways. For more information on bush kinders, head to Early Childhood Outdoor Learning Network.